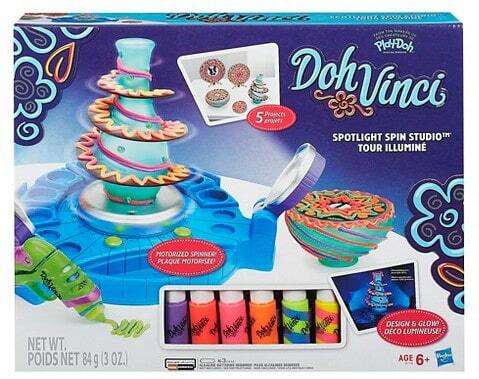 The DohVinci Spotlight Spin Studio: A Great Last-Minute Gift Idea! Need a gift for the creative kid? Take a look at the DohVinci Spotlight Spin Studio! Let your creativity take center stage with the Spotlight Spin Studio! Now your DohVinci designs can enter all-new dimensions with this unique design-and-display turntable. To get started, load a Deco Pop tube into the Styler and place a flat or 3D project on the motorized spinning platform. While designing, shine the stable white light onto your project as you squeeze the Styler to create bold 3D lines, swirls, and anything else you can imagine. You can also spin by hand for a freestyle experience. When you’re ready to display your designs, choose from 4 colorful and flashing light styles to feature your masterpiece in a spectacular lightshow! With 2 vase projects, 3 flat projects, a Styler tool, and 6 Deco Pop tubes (including 2 Blendables colors), this super studio comes with everything you need to turn arts-and-crafts time into a dazzling experience! The DohVinci Spotlight Spin Studio can still be ordered online in time for Christmas delivery. You can also order the Spotlight Spin Studio from Target.com. If it's in stock you can pick it up on the same day from your local Target store! You can also have it delivered to your home in time for Christmas. I’m on the hunt for great ideas for last-minute Christmas gifts. 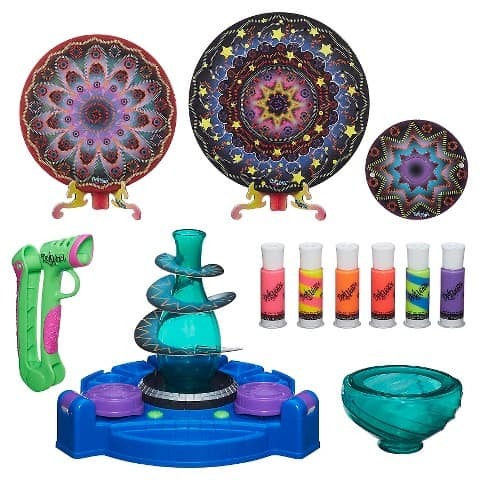 I want to show you a great selection of quality toys that you can buy online OR in popular retail stores!